Kiwi in Dubai: This is not us! That was precisely the difference between life and death for the Bangladesh cricket team, the team’s performance analyst Shrinivas Chandrasekeran told Gulf News as he recounted the blood-curdling moments when they were almost caught up in the Christchurch carnage, which resulted in 50 deaths on Friday. “It’s a miracle that we are alive. Our bus was barely a 50 yards away from Al Noor mosque when the shooting began. 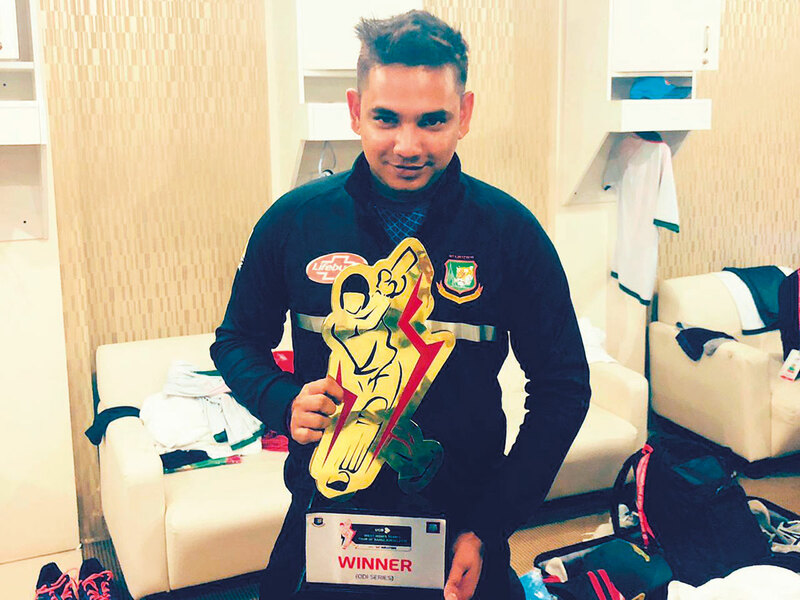 Had we not been held up because of a press conference, which overran its scheduled time by three minutes, the players would have been inside the mosque facing bullets,” Chandrasekeran said in a phone interview from Dhaka. It was a terrifying sight. The dead bodies, the hopeless efforts of the injured to stand up — the slack expression of men clutching their wounded body parts … they will haunt me for years. Originally from Mumbai, India, Chandrasekeran, 28, was on board the bus with 17 team members and support staff on that fateful afternoon. “It was the last day before the third Test match in Christchurch. [The tour has now been cancelled] We had just finished a practise session and were headed to the mosque. The players were supposed to reconvene for practise after the Friday prayers so I decided to accompany them,” said Chandrasekeran, who has been with the team for the past 18 months. “As we neared the mosque, we saw a woman slump down the walkway. My initial thought was that she had fainted so we stopped the bus to help her. In fact, some of us were about to alight the vehicle when a staccato burst of gunfire rent the air, forcing us to hastily retreat our steps. "Suddenly someone screamed 'they’re firing'. Dazed and confused, I glanced out of the bus window. It was a surreal spectacle. Scores of people were running frantically on the street crying for help as more shots rang. Many of them were appeared seriously wounded as they staggered out of the mosque shouting hysterically. "Instinctively, I looked in the direction of woman who we reckoned had collapsed because of a fainting spell. She was lying motionless, a large pool of blood covering her body. “It was clear we were midst of a mass shooting, but we couldn’t tell if it involved more than one gunman. Panicked, we urged the driver to step on the accelerator and take us out of the area to safety. But this was easier said than done as the only way out was through the mosque, which was under attack. Bangladesh cricket team manager Khaled Mashud later said they decided to leave the bus as they felt they might be an easy target if the terrorist boarded the bus. Chandrasekeran said they came across victims on the way to the cricket ground. “It was a terrifying sight. The dead bodies, the hopeless efforts of the injured to stand up — the slack expression of men clutching their wounded body parts as blood oozed through their clothes — they will haunt me for years. “As a result of the delay, they dispersed late. I dread to think what might have happened if we had reached the mosque a few minutes earlier,” he said.